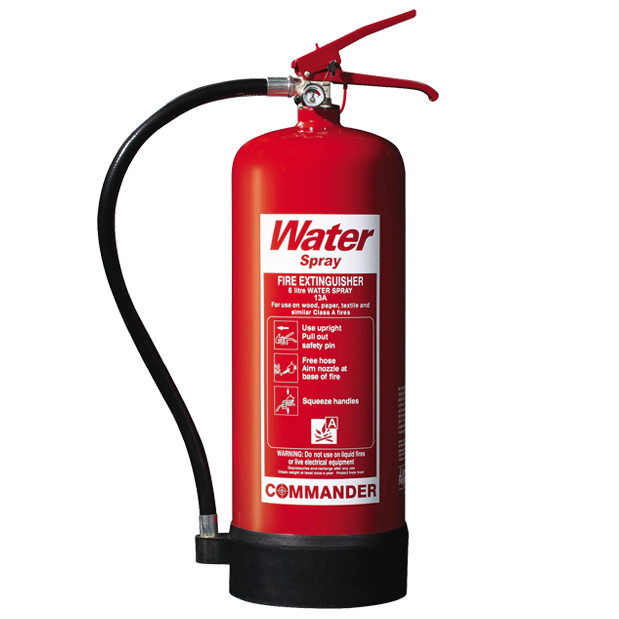 Three x 6 litre water fire extinguishers. Suitable for use in most commercial units, warehouses, shops, storage, offices, industrial facilities etc. These extinguishers are suitable for class A fires (ie. fires starting from wood/paper/textiles etc). The extinguisher is Commander branded and is economical, non hazardous and easy to work with. These water extinguishers have spray nozzles, rather than jet, and have an excellent fire fighting capability. They also contain a plastic base for protection and a corrosion resistant finish, as well as polyethylene internal lining. Wall fixing brackets are also included.